Today, Saturday, May 16th, is National Favorite Classic Movie Day. Since every day of the week nowadays seems to have a special attribute assigned to it, why not a day in which to remember with fondness a favorite classic movie? 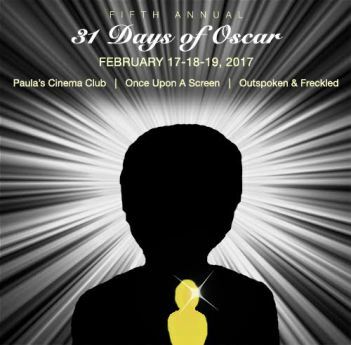 I signed up to participate and this fun blogathon is being hosted by Rick over at Classic Film and TV Cafe. Please visit his site to read other bloggers’ choices as to which classic film is their favorite. For my favorite film I chose 1942’s romance/comedy The Major and The Minor. It has a lot of pluses and few minuses: written by Billy Wilder and Charles Brackett, directed by Wilder, lead actor is Ray Milland, lead actress is Ginger Rogers, supporting actors and actresses are all good in their roles, too; Rita Johnson, Robert Benchley, Diana Lynn, Edward Fielding, Frankie Thomas, Raymond Roe, Charles Smith, Larry Nunn, Billy Dawson, and even a bit part played by Ginger’s mom, Lela Rogers! Billy Wilder had come to America, via Germany and France, having found successes in the fields of screenwriting and directing. With the rise of Nazism, he left Europe behind, and decided to pursue his filmmaking talents in Hollywood. In 1939 his work paid off with his screenplay for Ninotchka, the film that showed the world that Greta Garbo could laugh! That film was quickly followed with two more screenwriting successes for Wilder: Hold Back the Dawn, and Ball of Fire. In 1942 he got permission from Paramount Pictures to make his American directorial debut with The Major and The Minor. I am so glad that Paramount gave him the green light for this delightlful movie. Ginger Rogers portrays Susan Applegate, a midwestern, small town gal who came to NYC in order to make it in show business. She had saved up her money each week for train fare home as she promised herself to give it one year in NYC and if she didn’t make it, she’d take the train and head for home. She finally has had her fill of NYC, and her year is up, but at the train station she discovers that the money she saved isn’t enough for an adult fare as the price has risen. Dismayed, she gets an idea when she watches a mother at the ticket window purchase a child fare ticket for her daughter. Susan realizes she has enough money to buy a child’s fare ticket. Off she goes to the lady’s restroom to turn herself into 12 year old “Susu” Applegate. Susan entering the ladies restroom, and Susu emerging! Susu gets her ticket, gets on the train, but when she goes outside onto a viewing platform to sneak a cigarette, the conductors, who are suspicious about her being a “child” catch her. She flees from their clutches and dives into the first overnight compartment she can find and it belongs to Major Philip Kirby, ably portrayed by Ray Milland. Susu meets Major Philip Kirby. Major Kirby is itching to get into WWII. He badly wants to serve his country. However, he’s stuck teaching at a Boys Military Academy. He had been in Washington D.C. to see if he could get his military status reactivated, without his fiancee knowing of his plan. His fiancee,Pamela- a real schemer-played by Rita Johnson, and her father, Colonel Hill, principal of the Academy, -played by Edward Fielding, have no idea that Kirby wants to be on active duty. Once the Major meets this minor, he feels protective of her. Susu is immediately attracted to the Major but she keeps up her ruse of being a child of 12, and lets the Major treat her as he would a niece. He lets her sleep in the lower berth of his compartment and during the night, unbeknownst to them, the train has to stop its travel due to flooded tracks further down the line. Pamela and her father manage to drive in to rescue Major Kirby and it’s quite a funny scene when Pamela bursts into his compartment and finds Susu there in her nightgown! Susu has to keep this act going as she gets a ride back to the Academy. Due to the flood, Susu will have to stay at the Academy until her family can come and get her. It’s decided that she’ll bunk in with Pamela’s younger sister, Lucy. Lucy figures out quickly that Susu is really Susan. Lucy and Susan make a pact. If they can get Major Kirby’s status activated, then he won’t have to marry Pamela, who Lucy thinks is a “stinker”. She doesn’t want the Major to marry her sister. Lucy doesn’t fall for Susan acting 12. Susu meets Pamela’s little sister, Lucy. Susu is also the new “catnip” on campus for all of the cadets and there is a hilarious montage of different cadets trying to kiss Susu while giving her a tour of their campus. If anyone ever puts an arm around the back of your neck and clutches one of your shoulders, then describes the “Maginot Line” with their other hand watch out! It’s a clever way to grab you and pull you in for a kiss! Susu has a lot of fans at the Academy! There’s another fun sequence at the school dance, which Susu has to attend, and the guest girl attendees all try to look like Veronica Lake, peekaboo hairdo and all. Robert Benchley, who plays a cad at the film’s beginning and tried to make a pass at Susan, happens to show up at the Academy’s dance because he’s the father of one of the cadets! Susan has to avoid him as he could spill the beans as to her true identity. Major Kirby has by now realized he doesn’t want to marry Pamela, and there’s something “funny” about Susu that he can’t quite put his finger on. Milland does a really good job of playing the caring Major without coming off as a “creeper” to put it in my twin daughters’ vernacular. Like all good romance comedies, this film has a happy ending. The Major and the Minor is such a fun movie: charming, witty dialogue, clever plot development, I highly recommend it! If you are fortunate to have loved ones in your life who were teens or young adults in the 1940s, and they’re still sharp as a tack, you should rent this film and watch it with them. I bet they’ll enjoy that time with you and they can explain some of the pop culture references made in the 1940s, too! Here are a few more fun pics from the film. The “Veronica Lake” hairdo-so popular at a school dance! Ginger and her mother, Lela, who plays Susan mother in the film. Poor Ralph Bellamy! For some reason, he almost was always cast as the guy who loses his fiancee or girlfriend to someone else in classic movies. Long before he played the evil Dr. Sapirstein in Rosemary’s Baby, FDR in Sunrise at Campobello, or Randolph Duke in Trading Places, he was usually playing bland, good guy characters in films. That was his part in 1933’s Headline Shooter, and this post is for this weekend’s Journalism in Classic Film Blogathon, hosted by two great bloggers, Comet over Hollywood and Lindsay’s Movie Musings. Be sure to visit their sites to read more great posts by other bloggers on this interesting film topic. Headline Shooter was made in 1933 by RKO Studios. It’s a fast moving film that comes in at 65 minutes! Try finding a movie of today that is that length! Directed by Otto Brower, screenplay by Agnes Christine Johnston and Allen Rivkin, music by the great Max Steiner, the film features Bill Gargan, Frances Dee, Ralph Bellamy, Jack LaRue, Wallace Ford, Betty Furness, Robert Benchley, Franklin Pangborn, Henry B. Walthall, and Dorothy Burgess. Bill Allen(Bill Gargan), is a newsreel cameraman. He is brusque, always on the go, ready at a moment’s notice to rush to the scene of a disaster to film it. He thinks he is the best at his chosen career, and his ego is enormous. Fellow cameraman, Mike(Wallace Ford) is his compatriot in the newsreel business. Early in the film, we see Bill filming the disastrous effects of an earthquake and meeting Jane Mallory(Francis Dee), a reporter on the scene writing about the earthquake. Bill and Jane immediately irritate each other and then they get wind of a story about a baby being delivered in an emergency room at a nearby hospital with no electricity available and they jointly rush to cover that news story. After the night’s news has been covered, Jane and Bill have softened up their opinions of one another and we can tell they are interested in each other, but Jane confesses to Bill that she is engaged to Hal Caldwell(Ralph Bellamy), a banker in Riverport, Mississippi and that soon she’ll be marrying Hal and giving up her journalistic career for one of domestic life in a sleepy, southern town. After a few more “meet cutes” with Jane, Bill starts telling her that she should marry him and dump Hal and during one of these discussions, news of a brewery fire is sent to Bill and he rushes off to film that event, leaving Jane behind. Bill and Jane, an immediate dislike! As I pointed out earlier, this is a 65 minute film so it goes by very quickly. Scenes from a real earthquake, factory fire, and flood were used in this film to good effect. Bill Allen, the protagonist of this piece, is the hard-nosed news man;out to cover a story at all cost, this is his life. However, when his friend dies covering that brewery fire, it gives Bill a bit of pause. It forces him to slow down a bit and evaluate his life. He realizes he doesn’t enjoy being alone and that he loves Jane. He realizes he’d have to alter his life if he had a wife and eventually a family, that rushing off to cover the news and ignoring those closest to him in his personal life wouldn’t be allowed to continue. Jane Mallory is a good reporter, capable and also wanting to cover the news well. She enjoys her career a lot so when she announces her goal is to now marry a banker and retire from her career, it just doesn’t ring true to her character’s persona. At the end, when we know she’ll marry Bill, we can happily imagine her keeping her career and being quite content as a working, married woman. Headline Shooter is an obscure film. It’s not been released on any dvds or even on VHS! I only saw it a year ago because it aired on Turner Classic Movies. Two scenes from the movie are on their page about the film and you can view them by clicking on this link: http://www.tcm.com/tcmdb/title/2906/Headline-Shooter/videos.html. William Gargan, who seemed to have been heading for leading man status in the 1930s, inexplicably wound up playing second leads in the 1940s and was the lead on a detective tv show in the 1950s, Martin Kane. I admired his portrayal of Sam Peters in Cheers for Miss Bishop, the lovelorn best friend of spinster teacher Ella Bishop, and he was also praised by critics for his portrayal of Patsy’s father in The Bells of St. Mary’s. Gargan was also a nominee for Best Supporting Actor in 1940’s They Knew What They Wanted, which co-starred Charles Laughton and Carole Lombard. Frances Dee, aka Mrs. Joel McCrea in real life, was also an actress who had lead potential in the 1930s but in the 1940s and 1950s, mainly played secondary roles. She too appeared on television shows from time to time. She is best known as playing Meg in 1933’s Little Women, co-starring with Katherine Hepburn, and having the lead in the Jacques Tourneur directed I Walked With a Zombie; sort of a modern take on Jane Eyre, but set in the West Indies with voodoo and eerie goings on. Crazy title, I know, but actually a pretty good film! For a fast-paced look at journalism and love, circa 1933, you’ll have to search hard to find it, but look for Headline Shooter. 1942’s hit movie, The Major and the Minor is one of my favorite romance/comedy films. It was written by Billy Wilder and Charles Brackett, based upon the play Connie Goes Home, by Edward Childs Carpenter. Wilder also directed, and this was his first American movie to direct. 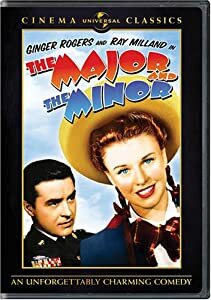 The film stars Ginger Rogers, as the Minor, and Ray Milland as the Major. Supporting players in the cast are Robert Benchley, Rita Johnson, Diana Lynn, Norma Varden, Frankie Thomas and Lela Rogers, Ginger’s own mother, as Mrs. Applegate. Ginger is Susan Applegate, an Iowa native, who has tried to live on her own in NYC. She has given herself a term of 3 years to make it there, and if she can’t, she will take the train back to Iowa. At her current job, as a scalp masseuse for the Revigorous System, her client for the evening(she has to make house calls) Mr. Albert Osborne(Robert Benchley), makes a pass at her and that is the straw that breaks the camel’s back. Susan gets away from Mr. Osborne, quits her job, packs up her belongings and heads for Union Station and a ticket out of town. Unbeknownst to her, train fares have gone up, and she doesn’t have enough money for an adult fare. She overhears a mother buying train tickets for her two children, and after studying what some girls in the station are wearing, Susan heads to the nearest ladies room and transforms her adult outfit into a child’s ensemble. She redoes her hair into two braids, and scrounges up some of her change to buy a balloon from a nearby vendor. With the change made, Susan goes to the ticket agent and buys a child’s fare for a trip to Iowa. On board the train, Susan decides to venture out on the back platform of the train for a cigarette break. A suspicious conductor follows her and sees her smoking. Susan realizes she’s been caught but manages to evade the conductor and jumps into the nearest compartment to hide in. This compartment happens to belong to Major Philip Kirby(Ray Milland). He is surprised and startled to have an unexpected visitor and Susan quickly thinks up a lie, that she is Susan, age 12, and everyone calls her Su-Su. She explains she is very frightened traveling by herself back to Iowa, and he agrees that she can stay in his compartment until he reaches his stop. Major Kirby is an instructor at a military academy and he is engaged to Pamela Hill(Rita Johnson). Pamela is beautiful and very ambitious about her future husband’s military career, but she doesn’t want him to be on active duty. Major Kirby is frustrated at the academy, and wants nothing more than to be called into active duty. This subplot will involve Su-Su to quite a degree. As luck would have it, there is a terrible rain storm overnight, the tracks flood, and the train has to stop. Pamela and her father, the commanding officer at the academy, drive to meet the train where it is stopped to bring Major Kirby back to the academy. Pamela is shocked to find Su-Su sleeping in the lower berth in the Major’s compartment. She accuses him of being unfaithful to her and tells her father about this outrage. Major Kirby quickly explains that the girl in his compartment is 12 year old Su-Su, scared to travel alone, and that he simply let her share the compartment for the night. Still worried about Su-Su with the train being unable to continue to its stops, Major Kirby insists on bringing her with them back to the academy and then they’ll call her parents to drive there to pick her up. Pamela and her father, meeting Su-Su properly, agree to let her stay at their house, sharing a bedroom with Pamela’s younger sister, Lucy(Diana Lynn). Lucy is in high school, and she sees through Su-Su’s disguise. She promises to keep Susan Applegate’s secret if Susan will help her ruin her older sister’s plan to keep Major Kirby out of active duty service. Susan agrees, and pretending to be Pamela, calls a Washington D. C. connection of the Hill’s, and gets Major Kirby’s status changed. There is another sub-plot, where 5 of the cadets are ordered by Major Kirby to spend an hour each with Su-Su, to give her a tour of the academy, and to help her enjoy her visit. What Major Kirby doesn’t seem to realize is that these cadets, at seeing Su-Su, have one thing on their minds -to get her alone for some kissing! It is quite funny seeing how each cadet tries to do this, and Su-Su, being in her twenties and not really 12, is quite wise to what they are up to. There is also a ball planned for the weekend of Su-Su’s visit, which she has to go to, and a funny scene where all of the girls invited to the ball from a neighboring girl’s school are all imitating actress Veronica Lake’s iconic one-eye showing hairdo. Cadets’ parents have also been invited to the ball and Su-Su is in for a surprise when Mr. Osborne attends, he being the older man who tried to make a pass at her when she was trying to massage his scalp! Su-Su’s real identity is revealed to Pamela, who threatens to reveal Susan’s real identity to one and all and that that will hurt Major Kirby’s career. At this point in the movie, we know Susan has fallen in love with Major Kirby, but she agrees to Pamela’s threat and quietly sneaks away from the ball, packs, and leaves the academy. I won’t go on to reveal the ending, as I want the readers of this blog to seek out the film and see the ending for themselves! Ginger Rogers shines in this movie, doing a pretty good job at acting like a 12 year old, yet having to hide her growing feelings of love for the Major. Rogers had recently won the Best Actress Oscar for the drama Kitty Foyle, so appearing in this light-hearted comedy appealed to her, and in fact, when she was a struggling young dancer and singer, traveling with her mother and being low on train fare, Rogers had actually pretended to be 12 in order to get child-priced train fare. Paramount Pictures originally wanted Cary Grant to play the Major, but director Billy Wilder, stopped in his car at a traffic light one day, saw actor Ray Milland in the next car over, and asked him if he’d like to be in the picture he was getting ready to direct. Milland said,”Sure!” and that’s how he got the part over Grant. Milland does a great job in his part too, acting mannerly and concerned about a 12 year old’s well-being, and he’s deft at handling the comedic timing necessary in a film such as this. Wilder came to Hollywood in 1934, after directing his first film, the French film Mauvaise Graine. He worked on 8 screenplays for his first career efforts in Hollywood, but was really wanting to direct again. Producer Arthur Hornblow Jr., agreed to give him that chance with The Major and The Minor. The film proved to be a box office hit with audiences of 1942, and if you want to view a delightfully funny, touch of romance movie, then seek out The Major and The Minor. It is available at Amazon, Turner Classic Movies airs it now and again, and some kind soul put up a video tribute to it on You Tube.